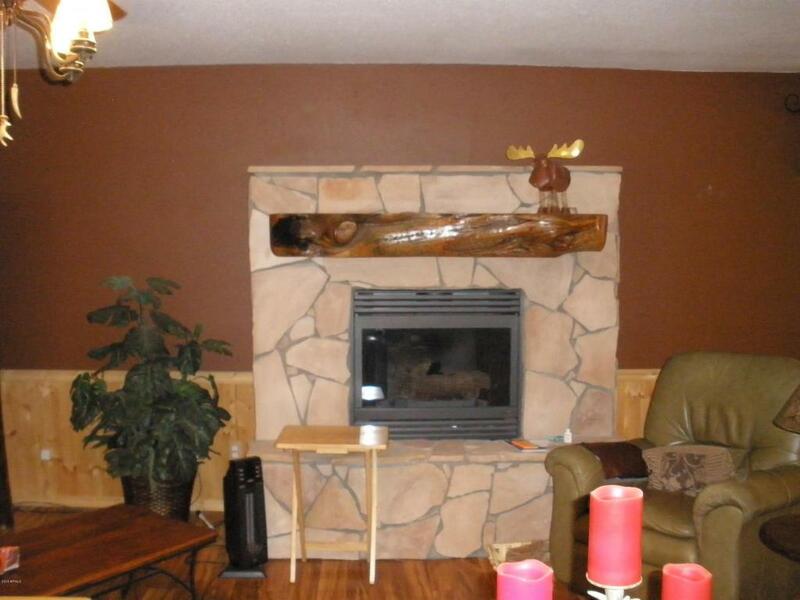 Beautiful log sided cabin on heavily treed .80 acre lot. 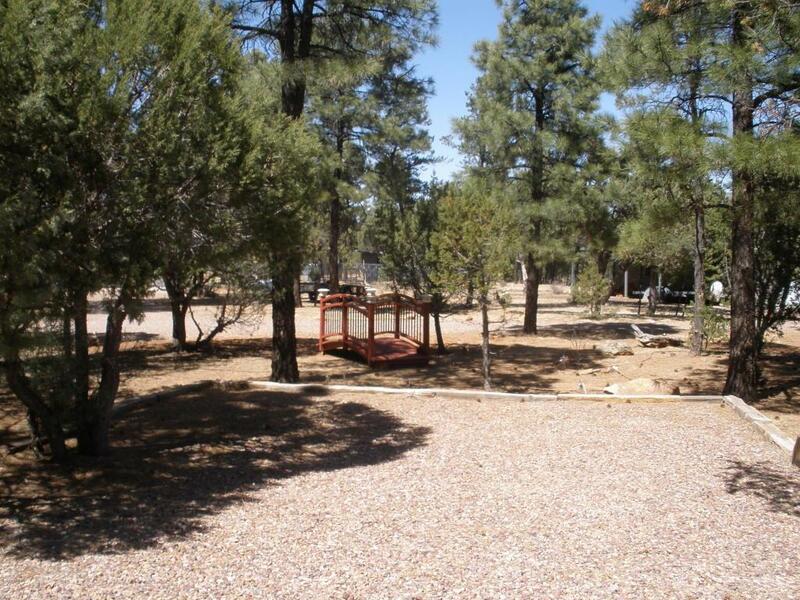 Back yard is fenced and also has a fenced garden area. 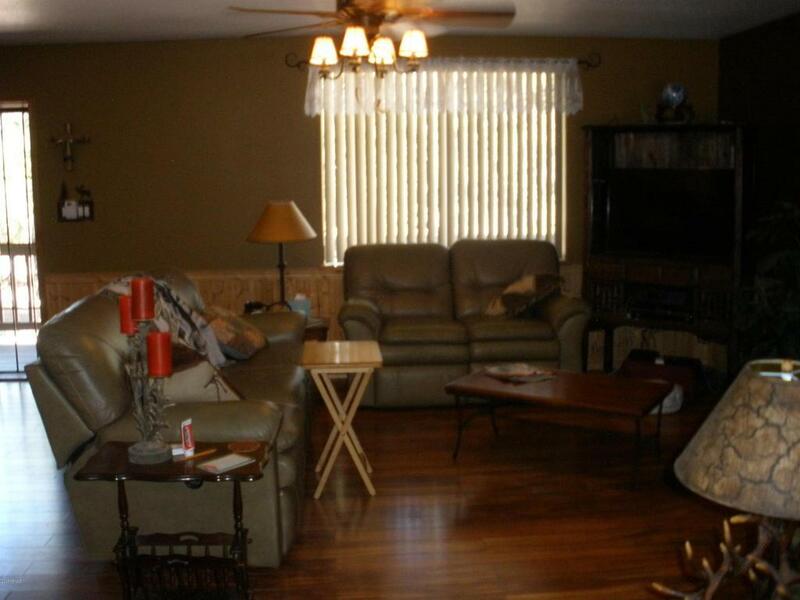 Large upstairs master with sitting area, 2 closets and balcony. Kitchen has island and the stainless steel appliances are 5 years old. Pergo XP flooring, tile in kitchen, bath & laundry room and carpet in bedrooms. Screened in sunroom with 2 ceiling fans. Yard is on drip system. Parking for 2 RVs. Roof and outside painted in 2016. Outside shed with shelves for storage. Rose bushes and fruit trees in yard. 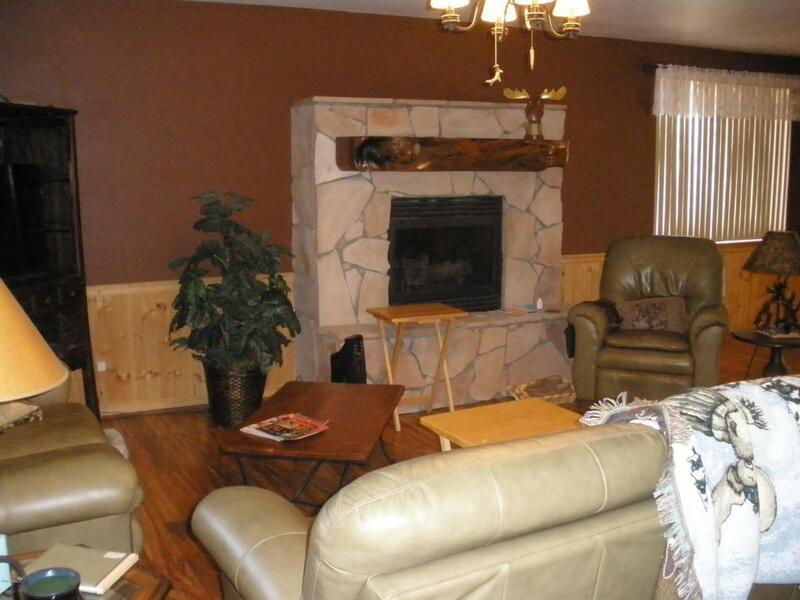 Basement has 2 large bedrooms & TV/gam room with bar and full bath. Water conditioner, Radiant heat, solar lights & motion detectors. Ceiling fans throughout. Oversized garage. © 2019 Arizona Regional Multiple Listing Service, Inc. All rights reserved. All information should be verified by the recipient and none is guaranteed as accurate by ARMLS. The ARMLS logo indicates a property listed by a real estate brokerage other than Arizona 1 Real Estate Team at My Home Group. Data last updated 2019-04-22T17:11:12.043.